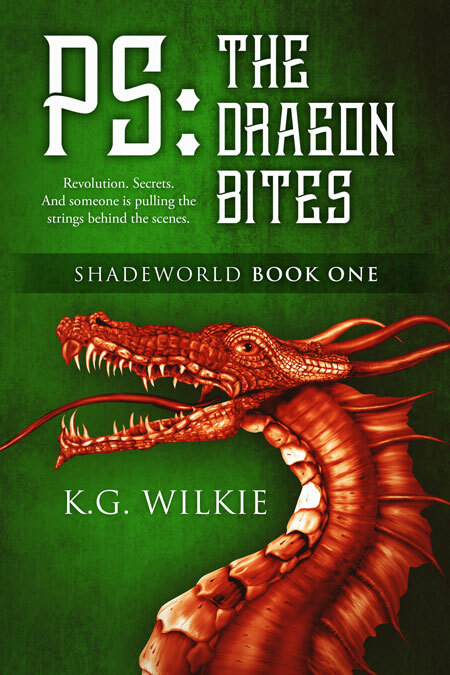 Beetiful designed the book cover to PS: The Dragon Bites by K.G. Wilkie. 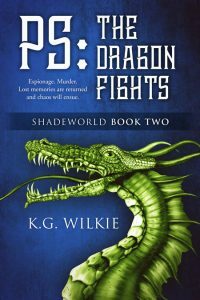 It’s the first book in the Shadeworld series. Meanwhile, at home the younger brother he loves is stirring up rebellion and trying to steal his throne. Aeron’s long lost childhood friend has finally been found after a years long search but doesn’t remember him- and now she thinks he’s a jerk! A mysterious new enemy appears from the shadows and further complicates Aeron’s life. Can he stop his brother to save his throne? Will the shadow over take his land? 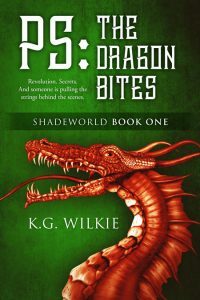 Get PS The Dragon Bites by K.G. Wilkie today! K.G. Wilkie is a reader and artist and can often be found wandering the woods behind my house or traveling to new places. Kay loves action movies and museums and theater. She's amazing at getting lost, walking up to and starting conversations with unsuspecting strangers, and petting dogs in just the right way which is clearly the most important skill of all. She's taken up the hobbies of embroidery, fencing, and badminton; and is absolutely terrible at all of them.